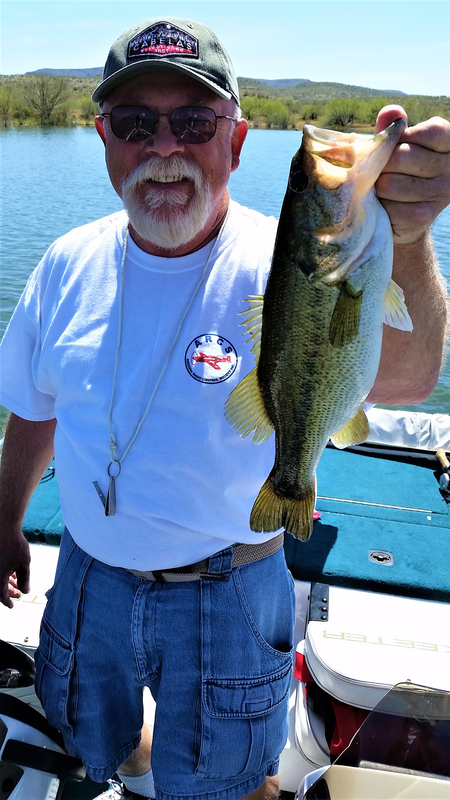 Ike S. caught this last Wednesday at Lake Pleasant in Humbug Cove. He said he been catching nice largemouth bass with dropshot-rigged Roboworms as well as white spinnerbaits. “It was windy and the water was a little murky — could not see any beds,” he wrote.